For our Nickelodeon Programming department of pan-regional channels (including Nick Jr. Global, Nick Jr. COMM as well as our Nickelodeon Global, Nickelodeon COMM and NickToons Global and COMM international channels) in Amsterdam we are recruiting, initially limited to 7 months. Quick learner and adaptable to new production procedures and equipment. Written and spoken fluency in English (a second language is preferred). 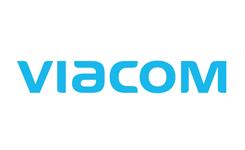 Why Viacom International Media Networks?Sure, you will have challenging tasks, responsibilities and freedom for your ideas, just like in other companies – but the difference is in the details. At Viacom International Media Networks you are not only bringing in your personal Know How, but also your individual passion. Since we all share a love for great stories, we have gathered the best storytellers and committed ourselves to bringing the best possible stories to our audience all across the world. In the pursuit of telling all the new stories as well as the loved classics, we have grown to become the largest media network in the world. Become a part of us and work for our famous brands like MTV, VIVA, Comedy Central and Nickelodeon. You will have the opportunity to discover your true talent in an innovative and passionate work environment that fits your lifestyle and fandom. We require versatile talents – whether you are a newcomer or a professional – to help expand our content across all platforms from TV to Web. However your own story might turn out, we are happy if you chose to share it with us!